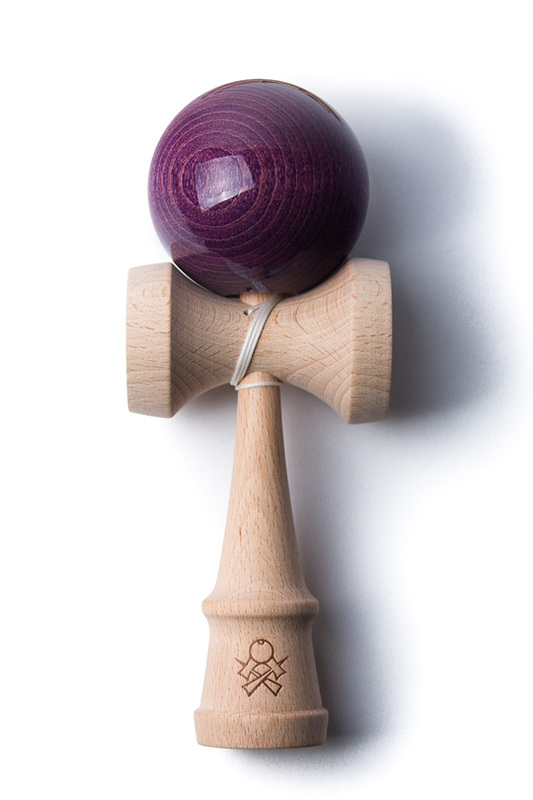 The F3 Stain Kendama features our new F3 ken paired with factory-finished tamas. The factory clear coat offers a glossy, but agreeably tacky finish – with the most perfect mix of slip/stick, letting the player readjust balance while still keeping stability at the max. Every F3 comes boxed with an instructional pamphlet, an extra string and bead, and stickers.